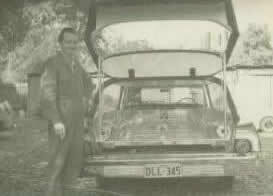 Walter (Wal) Hadley came to Australia from England in 1956 where he had been working for several years as a coach builder in the manufacturing of Rolls Royce's and Bentley bodies. When he came to Sydney he worked various jobs and finally found his way to a small company known as W.G Smith Coach Building. After several years working with Bill Smith he went his own way. With the help of Ian Spies from Walters and Sons, he built his first hearse in 1963 and continued to do so for the next couple of years. Then in 1965 W.D.Hadley Pty Limited was established. Years later his twin brother and two sons Gary and Wayne were taught the art of coach building and to this date over 500 hearse conversions have been made to a variety of vehicles using only the best materials available. Hadley's have provided hearse's Australia wide as well as exporting to various countries. We are happy to custom build any hearse to meet your exact requirements if you choose to do so. We have always prided ourselves in providing quality and ongoing customer service to make sure you get exactly what you want and more. We look forward to you contacting Gary or Wayne Hadley with any questions or requests you may have.